If you’re on a computer, or have access to one, go to Wikipedia and check out your favorite article. At first, what you see there will be very familiar — the core reading experience on the site hasn’t changed much in the last four years. But take your cursor and hover over a link. See what pops up? Based on our A/B tests so far, we’re succeeding in this goal. For one, the rates of disabling the feature are negligibly low — a strong indicator that people find it useful. 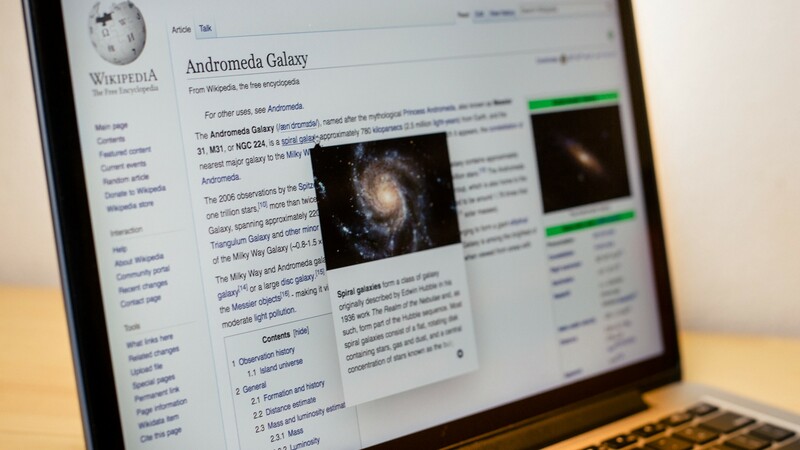 For two, each reader is interacting with the content of more pages while navigating the site, as people are able to engage with knowledge on Wikipedia in more meaningful and efficient ways. And for three, the number of classical pageviews is slightly decreasing. That might seem like a strange thing to be happy about, but pageviews (one of our main measures of desktop traffic), while an important benchmark for understanding how Wikipedia is accessed, is only one way we measure engagement with Wikipedia. For the Wikimedia Foundation, success is based on how we’re able to fulfill our free knowledge mission and make the Wikimedia sites more useful, relevant, and engaging for people around the world, even if it means our pageviews might go down as an effect. The official Medium account for the Wikimedia Foundation and the sum of all knowledge, Wikipedia.